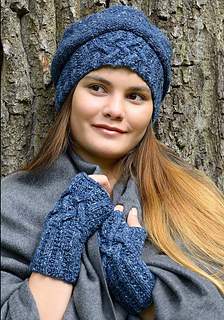 The pattern provides several options for a set of beret and wrist warmers, all in a easy knit and purl stripe pattern with a single cable motif. 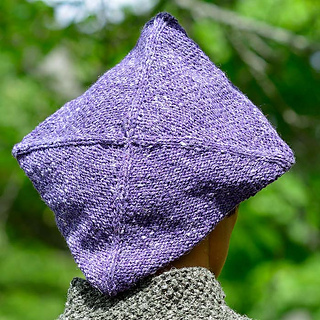 The beret allows for two different styles of crown, either a traditional slouchy style or a square version. For the wrist warmers, you can either knit a super simple cuff or a longer version with a thumb gusset (the wrist warmers come in a smaller and a larger size).